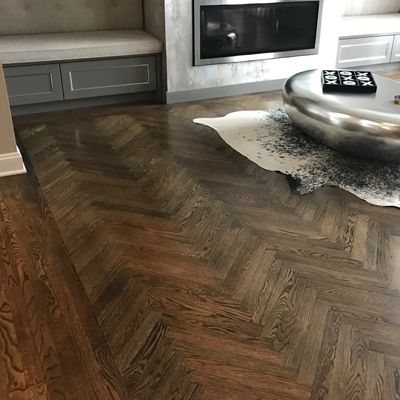 For this project, we were called in to install a herringbone patterned parquet floor in the foyer and formal entertainment room, as well as to refinish the entire first floor of this rather large home. 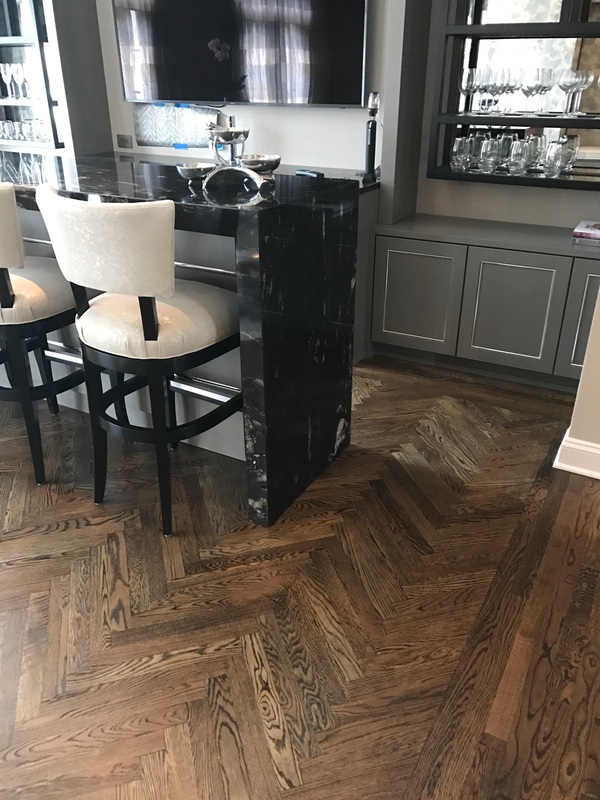 For this project, we were called in to install a herringbone patterned parquet floor in the foyer and formal entertainment room, as well as to refinish the entire first floor of this rather large home. 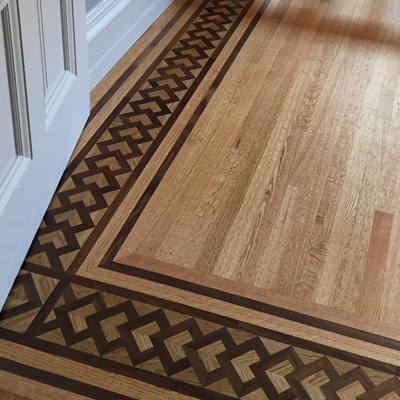 Steve worked closely with the homeowner to design and layout the pattern and border to specification. 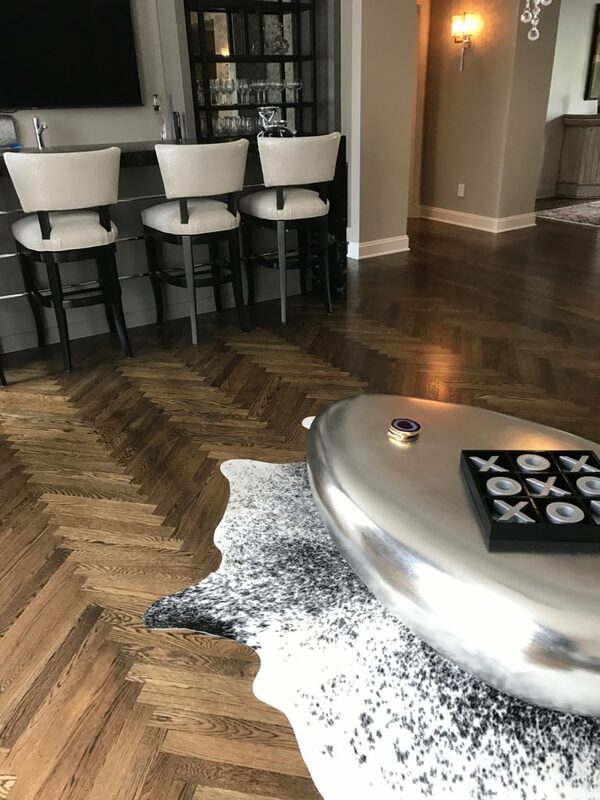 After this was taken care of, the flooring was ordered, delivered and allowed to acclimate onsite. 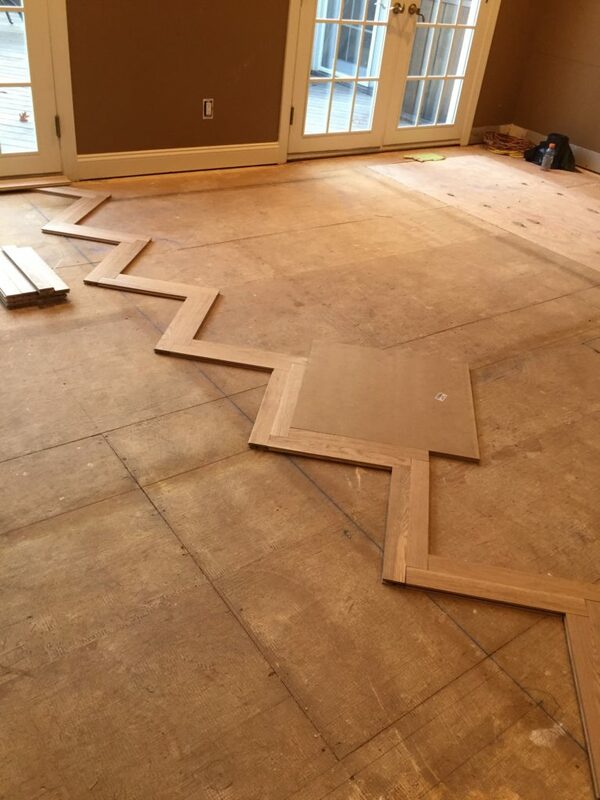 After this was taken care of, the flooring was ordered, delivered and allowed to acclimate onsite. 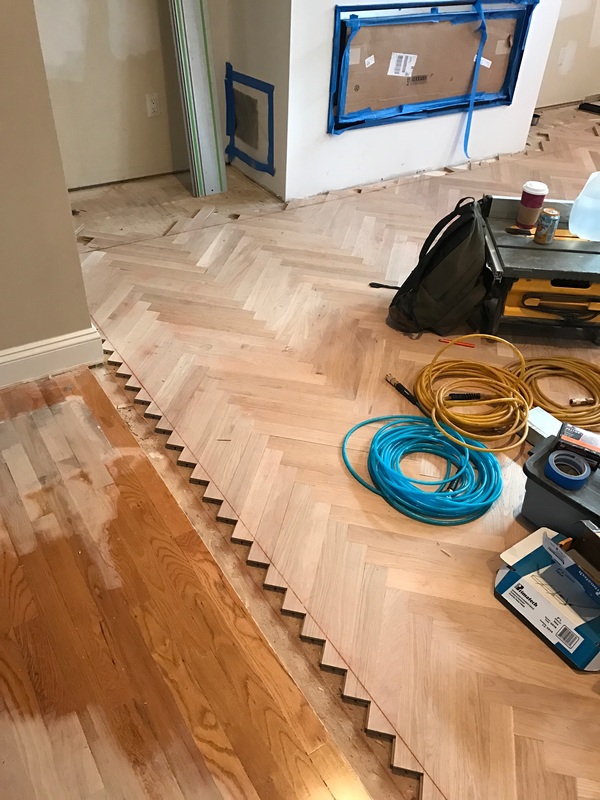 When the flooring had reached the appropriate moisture content, dust masking was put in place throughout the home, the subfloor was prepped and everything was in place to proceed with the installation. 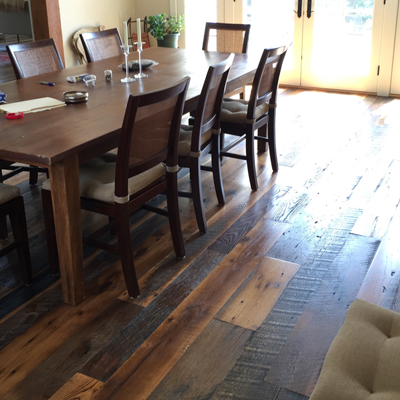 The material selected was a plain sawn white oak, cut to two different lengths, one length for each room. 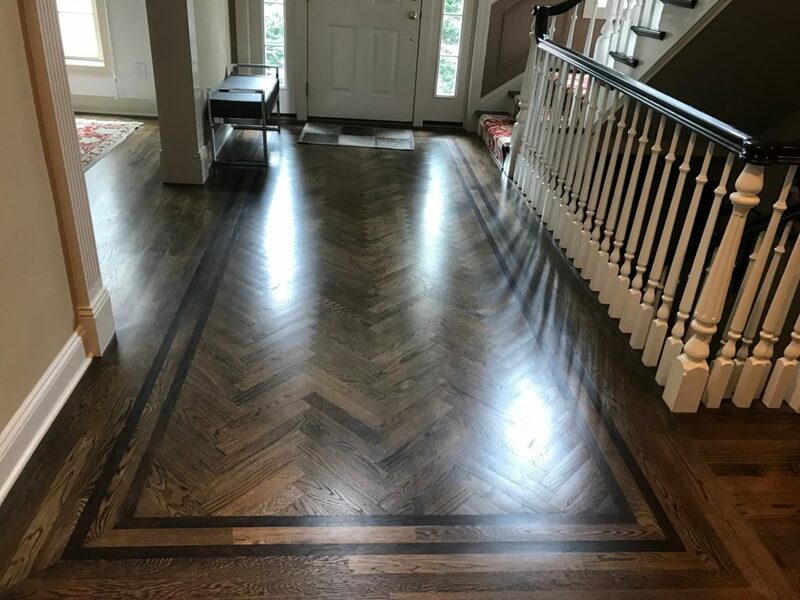 The foyer presented a unique challenge in that we had to remove flooring that was laid inside of an existing border (without damaging the border itself) prior to installing the parquet. For the larger room, we started with a fairly clean slate and only had to tie the new floor into the existing floor on one side. 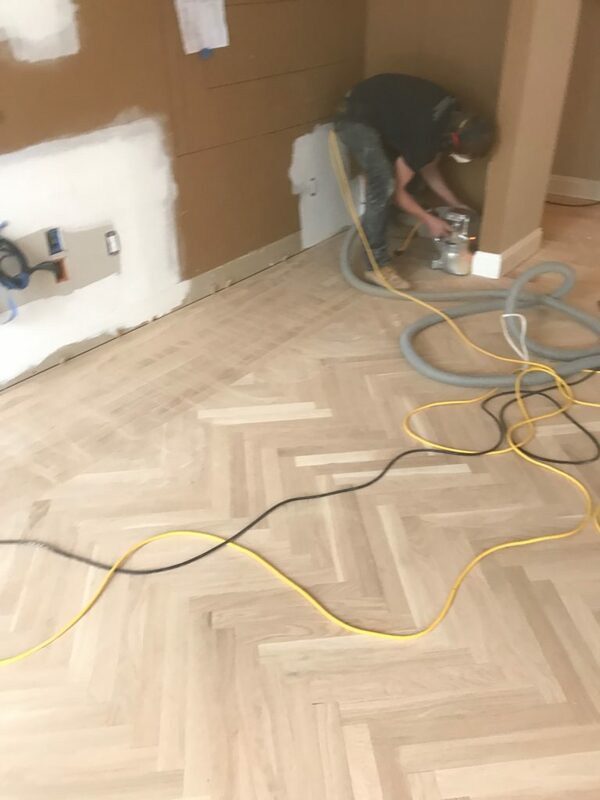 We started by laying the parquet and after the parquet installation was complete, the edges of the field were cut square with a track saw in order to lay the border. 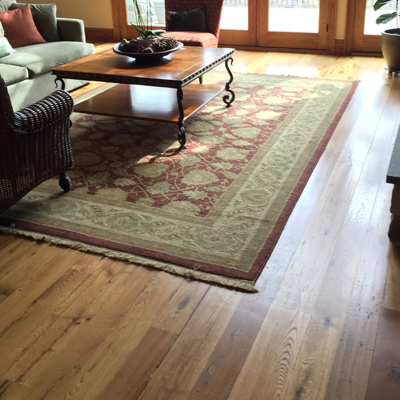 After completing the installation, we were tasked with refinishing the entire first floor of the home. This required a lot of planning as the homeowners opted to stay in their home throughout the process. We usually suggest that the homeowner vacate their residence during the process, but in this case it just wasn’t possible. 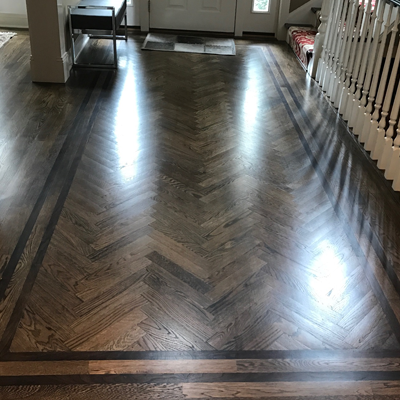 When the sanding was completed, stain samples were produced and after receiving color approval, the floor was stained with a custom combination of Ebony and Jacobean stains and finished with 3 coats of Dura Seal’s satin sheen, oil modified polyurethane.